I had the pleasure of photographing Fantail Falls during a 5-week photography trip to New Zealand. 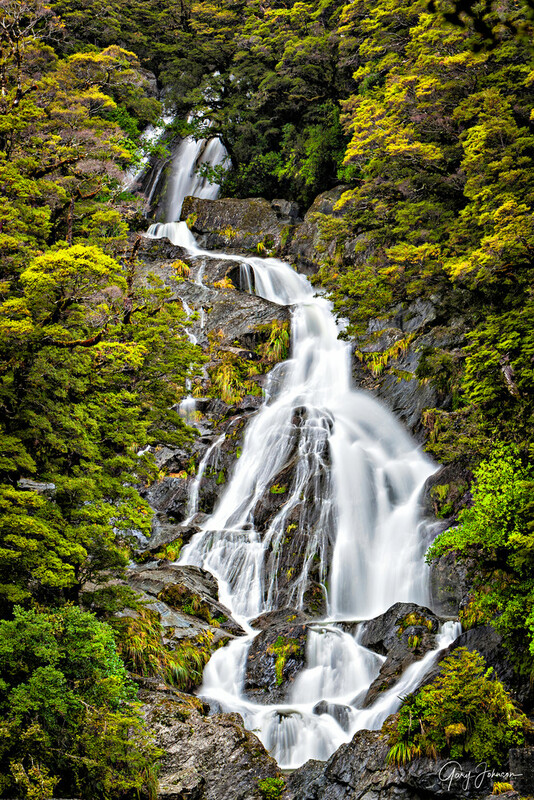 Fantail Falls is named after one of New Zealand’s cutest and best known birds, because of the resemblance of the falls to the bird's tail feathers. The Fantail, with its distinctive fanned tail and loud song, often approaches within a few feet of people The Fantail would flitter around you as if it was interested in playing but actually it was just interested in the bugs that you scared up as you walked.